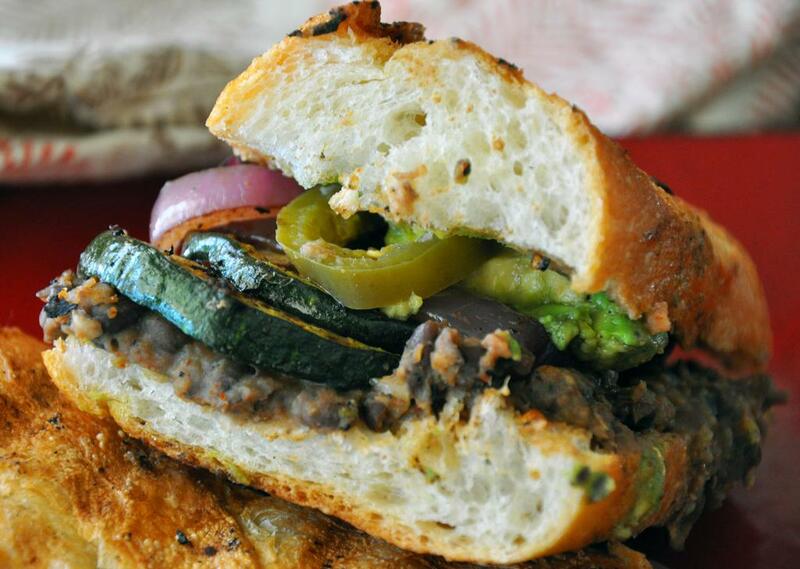 A torta is a Mexican grilled sandwich that you can fill with just about anything. 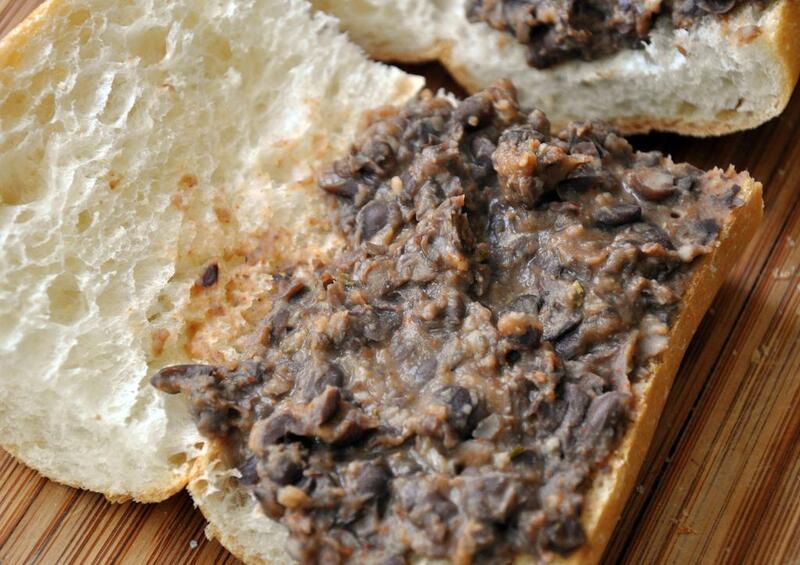 It starts with a baguette spread with mashed, seasoned black beans then layered with fillings like grilled steak, chicken or vegetables. The toppings are only limited by your imagination. You can use Mexican cheeses, grilled or raw onions, steak sauce, fresh avocados, cilantro, fresh or pickled jalapenos, fresh lettuce and tomatoes and on and on. 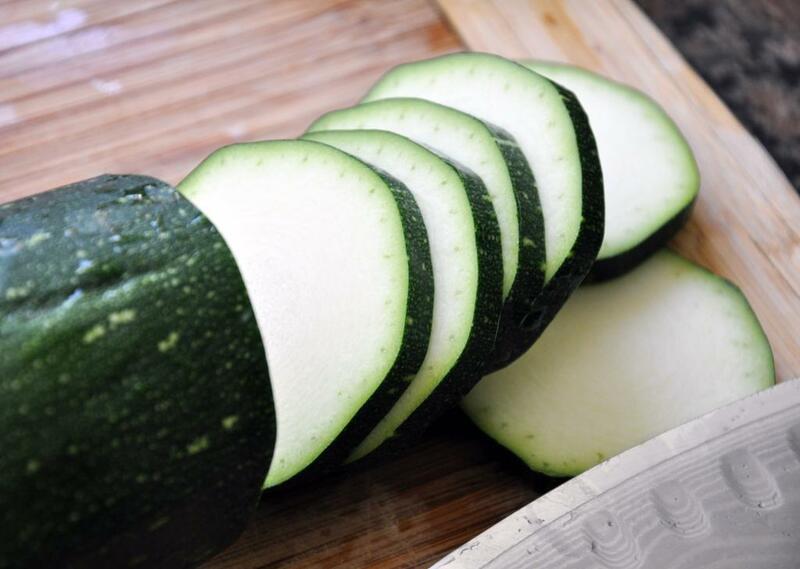 This recipe for a grilled zucchini torta is with hopes of catching up on the upwards of 10-12 pounds of zucchini in my fridge and taken from Rick Bayless' version. His grilled skirt steak torta is complimented with homemade chipolte steak sauce, which I sometimes use on this sandwich. The sauce has quickly become a new staple in my house (added to the homemade ketchup, mustard and hot sauce I'm already making!). 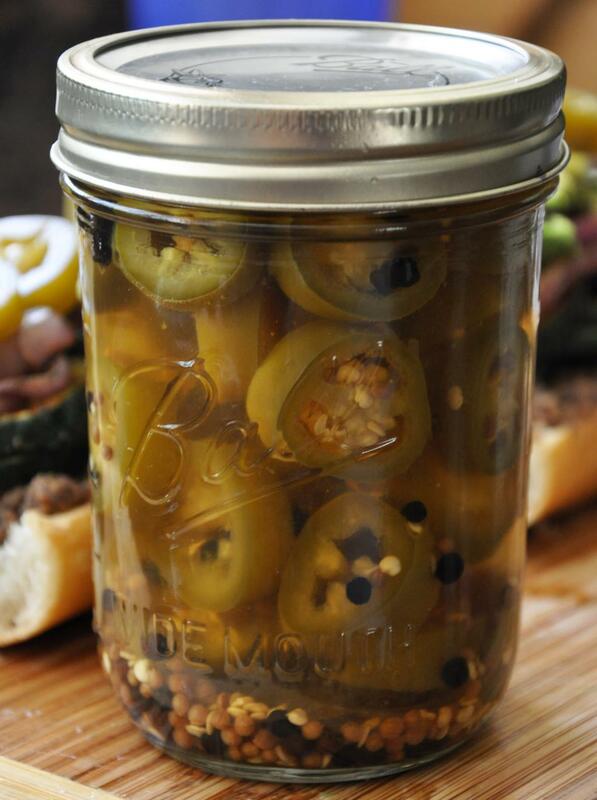 One of my favorite toppings is also pickled jalapenos - it is ridiculously easy to make so give it a shot. Heat grill or grill pan. 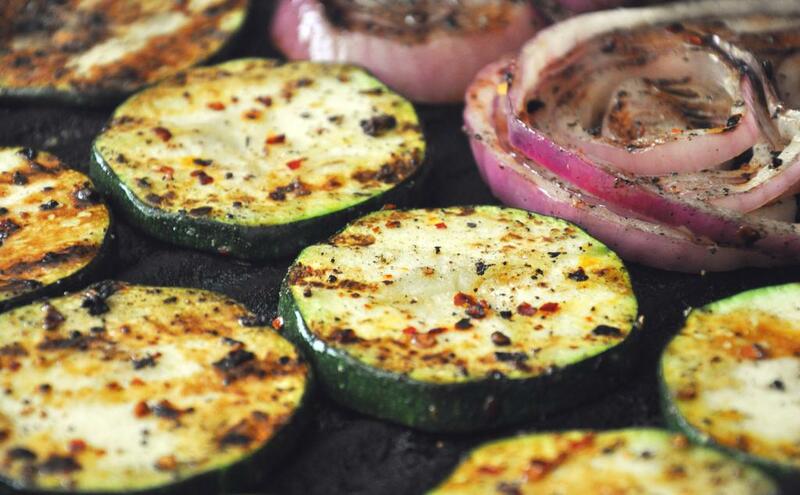 Brush zucchini and onion on one side with EVOO and sprinkle with SnP and red pepper flakes. Grill over medium high heat for about 3-4 minutes. Before turning, brush the other side with remaining EVOO. Grill 3-4 more minutes. Remove from heat, but leave grill on medium. Meanwhile in a shallow pan, put black beans, cumin, chili powder, cayenne, salt, garlic and water. Over medium low heat, mash the mixture together. 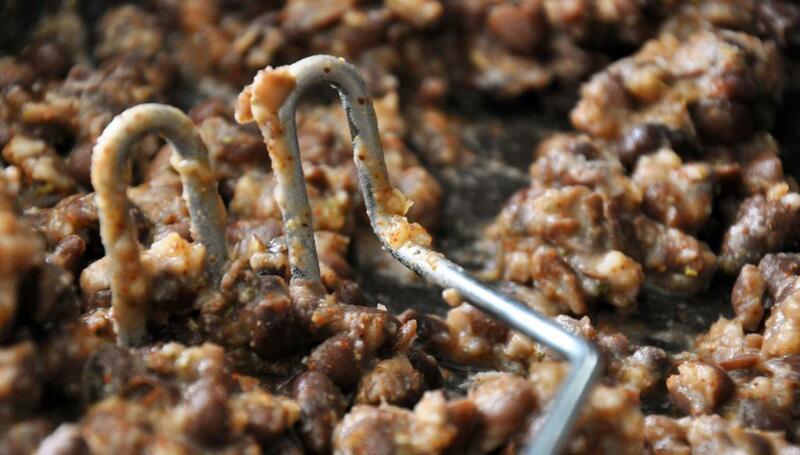 Mix with a spoon and keep bean mixture warm. To assemble, divide bean mixture among baguettes and spread evenly on one side. Top with zucchini, onions, avocado and any other favorite topping like pickled jalapenos, cheese, lettuce, etc. 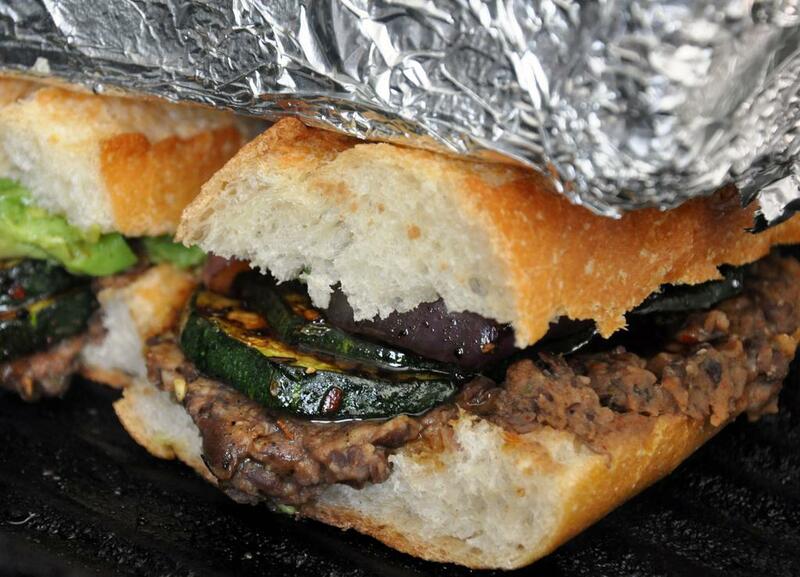 Spray the grill or one side of the bread and put the torta on the grill. Top with a foil-covered brick or other similar weight. Grill 2-3 minutes on each side, then serve. Adrienne, thanks for the posts! I am not a vegetarian by any means, and can&#39;t say that I plan to be any time soon. But you make veggie meals look so easy and delicious that I cant help but try them. I&#39;m developing a blog of my own chronicling my fitness journey. I will definately be linking to your posts when I launch!